Don't throw away your old Freerangers styles - we offer a full refurbishing service. Our little elves will welcome your old favourites back, give them some TLC and have them back in the post to you in about a week looking almost as good as new! 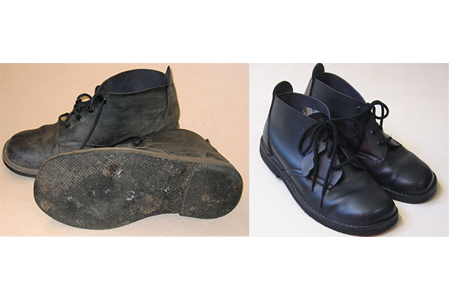 Service includes, new soles and insoles, new laces, relasting and cleaning. Please note odd size pairs are ?40. No need to choose colour/ size on the web site we'll do that when we get your shoes back.